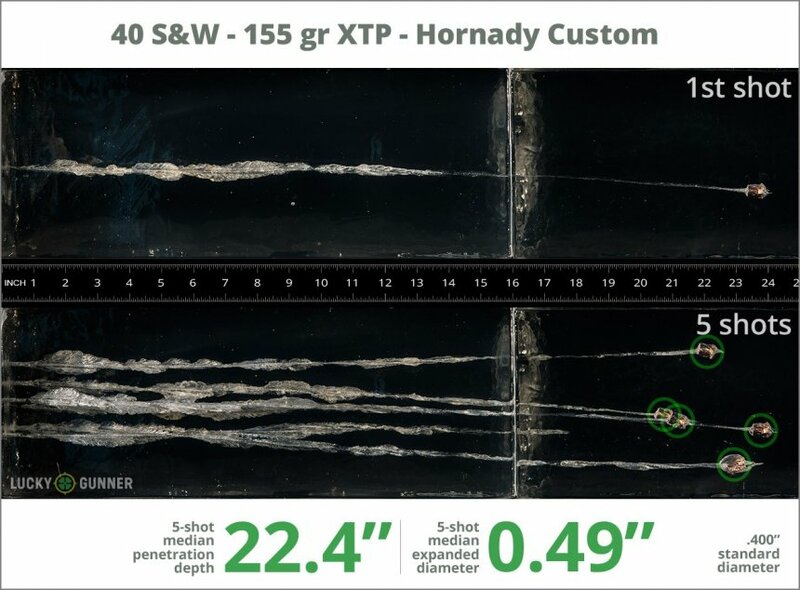 We test fired five rounds of .40 S&W (Smith & Wesson) Hornady 155 gr XTP Custom into synthetic ballistic gelatin to observe its expansion and penetration characteristics. The ammo was fired from a Glock 27 pistol at a distance of 10 feet. A four-layer barrier of heavy fabric was placed in front of the gelatin to simulate clothing. The complete data for this load from our test can be found on the chart below. The photo slider displays the expanded bullets that were retrieved from the gel. Pictured below is a high speed video that shows the bullet entering the gel at approximately 10,000 frames per second. The diagrams at the bottom of the page should give you an idea of how this load compares to other .40 S&W (Smith & Wesson) loads. 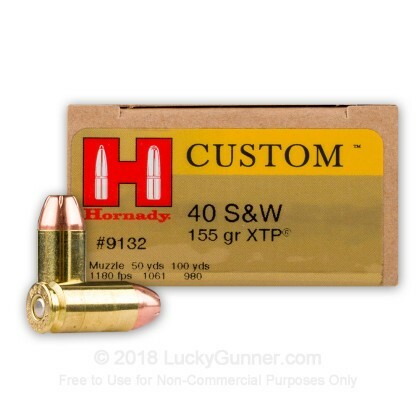 How do the results for this Hornady .40 S&W (Smith & Wesson) compare to other 40 S&W Ammo? 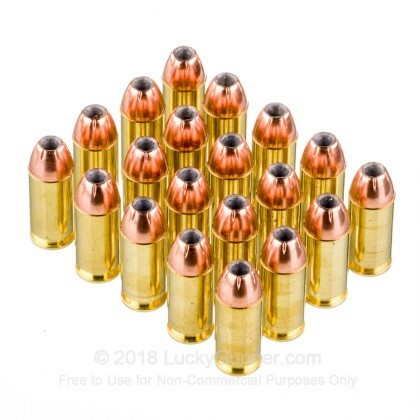 0.89" This ammo: 0.49" Min: 0.39" Median: 0.65" Max: 0.89"
22.4" 0" 9.8" 16.5" 32" This ammo: 22.4" Min: 9.8" Median: 16.5" Max: 32"
I trust my life to Hornady. I use it in all my guns & my daddy used it too. 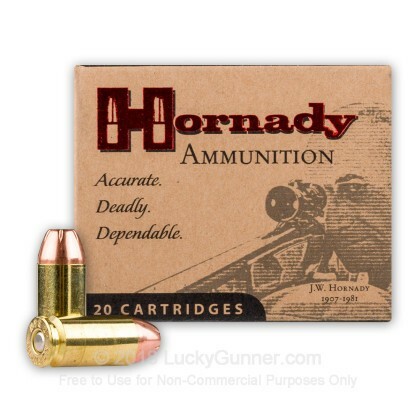 I have shot enough Hornady ammo to be 100% confident in its quality. 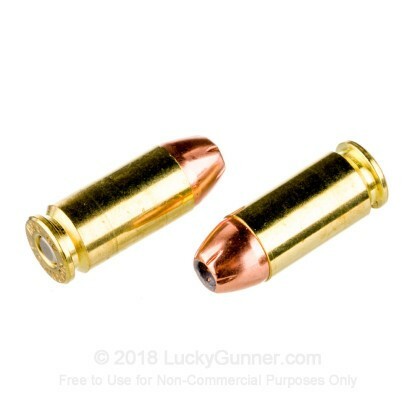 These are loaded in my Glock 23 for one reason only and I hope I never have to find out how well the work. 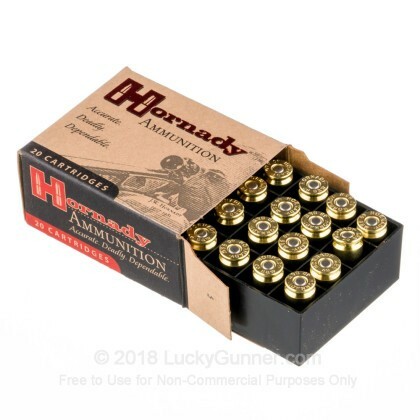 Hornady makes the best ammo around. No issues high in performance. Buy it. You will be glad you did. I love Hornady ammo. I just hate to send it down range too often. It hurts my pocket book. 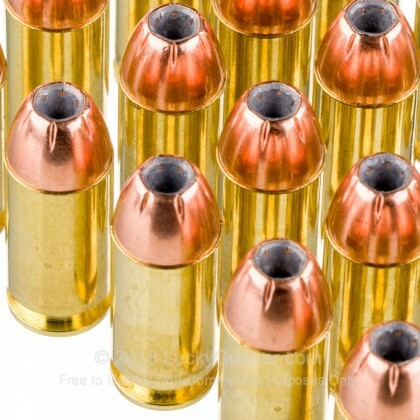 This and the Critical Defense rounds are what I use for my personal defense ammo. We also have this 40 S&W - 155 Grain JHP XTP - Hornady Custom - 200 Rounds ammo in stock in a bigger quantity.